We are supported by nearly 35 years as a manufacturer of high quality safety nets. Our history has been marked by the constant innovation and the commitment to those who have come to rely on our networks over the last decades. The philosophy of our company has always aimed at providing the market with the highest quality networks. We understand the importance of safety, both in industry and in construction. And that is why Sitenets LTD nets have always been subject to more stringent tests to ensure maximum safety at all times. In the sporting goods market, our nets are synonymous with leadership. The high level of performance of the nets has won international recognition and trust of some of the largest global events in the world of sport. Sitenets LTD earned the status of official supplier networks in the Barcelona Olympics, also equipped endearing goals of the Football World Cup in South Africa, where the Spanish team was crowned champion. That confidence also is supported by all the quality certificates obtained throughout our career. And is that the entire production process meets the standards required by the European Union. Continuing in the line of development, it has recently been certified as flameproof networking at its best category (M1), thus covering an area of the sector that has been highly neglected. Therefore, we will be pleasantly rewarded if all these efforts contribute to making your business more competitive by the hand of Sports Technology. We have the profound conviction that, once again, Sitenets LTD will meet your expectations and confidence you have placed in our firm will be enhanced. 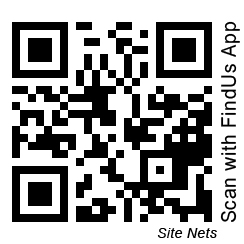 WHY NETS FROM SITENETS LTD? Does not accumulate static electricity. High protection against ultraviolet rays (loss of energy inferior to that suffered by polyamide nets). Maintains high tenacity in acid or alkaline environments. Not affected by any acid except boiling Xylene. Very resistant to dirt, as it is a non-absorbent fibre, which grants it maximum protection against stains. Thanks to its colour, it delimits the working space better. Not necessary to dimensionally stabilize via the thermo fixing of knots. It does not have knots (New Technology). There is no possibility of knot displacement.